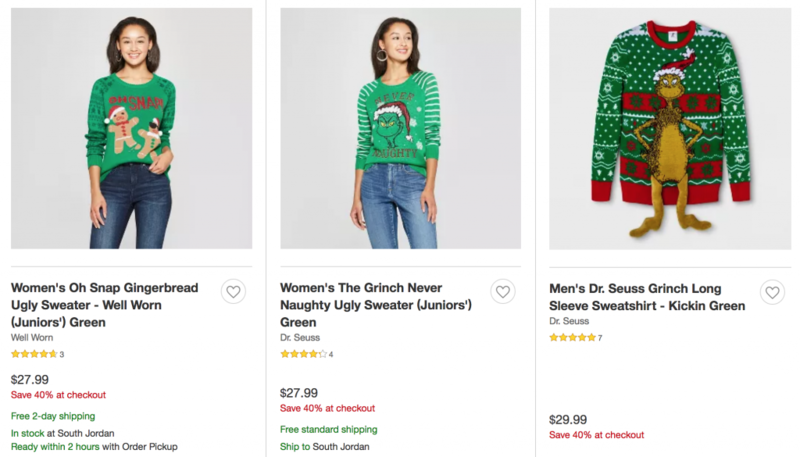 Target: Save 40% On Ugly Holiday Sweaters & Tees! Still on the hunt for that perfect holiday sweater or tee? Check out the collection of ugly ones at Target and save 40%! 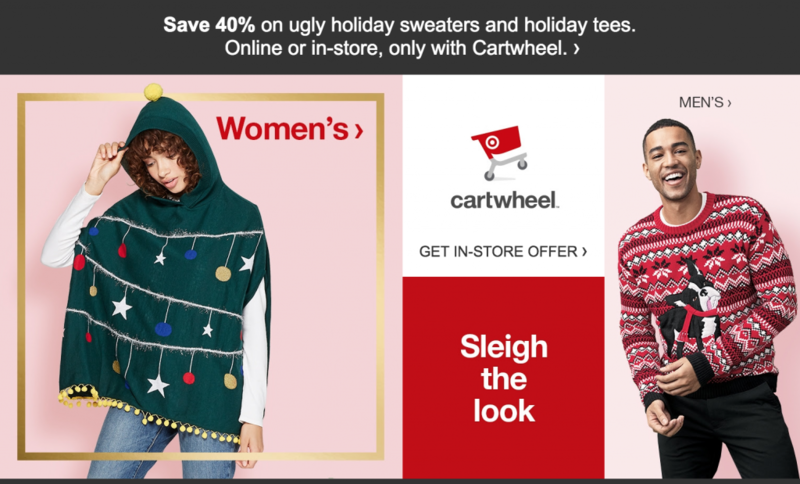 You can shop this offer online or in-store using Cartwheel. Plus, when you checkout using your Target REDCard you will save an additional 5% and all orders will ship free.